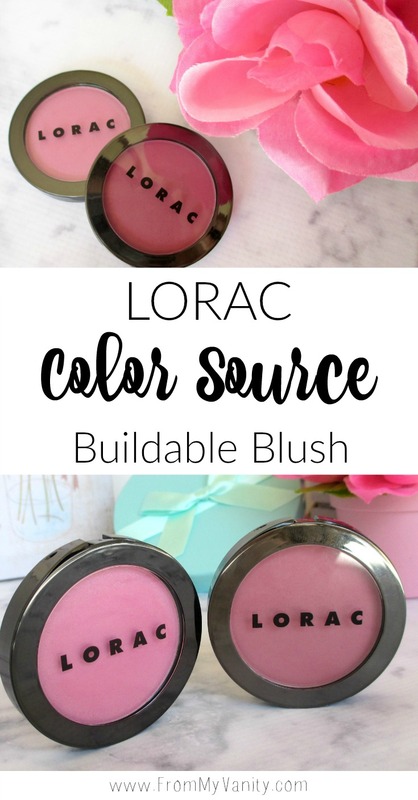 LORAC has come out with new blushes this year — the Color Source Buildable Blushes. 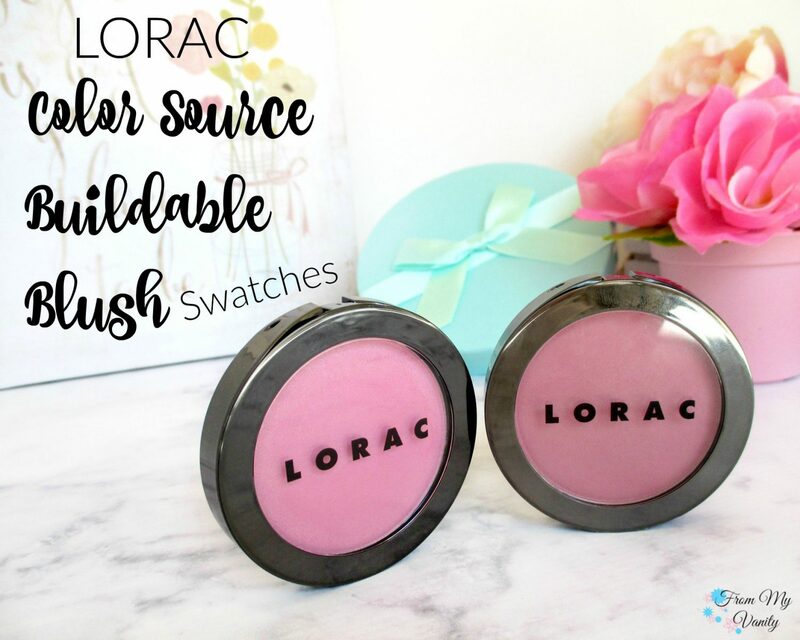 If you’ve been reading my blog for any length of time, you’ll know I love LORAC Cosmetics products, but I’ve actually never tried their blushes before. Not to give anything away, but I’ve been really impressed. Let’s jump into the review! There are 10 shades in the Color Source line available at Ulta with a mix of satin and matte finishes. I received two blushes — one satin (Vivid) and one matte (Chroma). The packaging for these blushes are really cute with a gunmetal gray that’s really chic. It is that mirrored-type of packaging (making it a pain to photograph, lol) and fingerprints do show up. 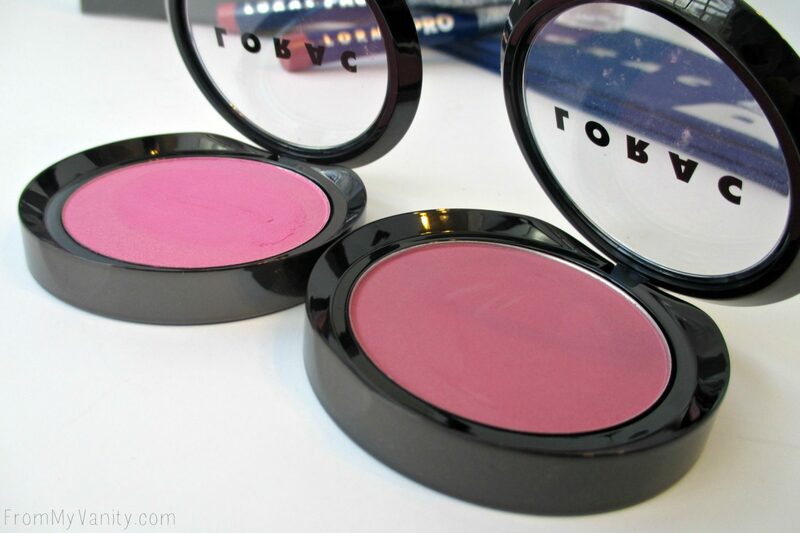 Along with the sleek packaging, these blushes have a magnetic closure to them. So nifty, and oddly satisfying every time they close. 🙂 Each Color Source blush contains 0.17 oz of product, which is a fair amount. In comparison, the popular Tarte Amazonian Clay 12 Hour blushes contain o.2 oz. As you can see, they swatch really beautifully — pigmentation is great. I just swatched it twice on bare skin. They are incredibly soft to the touch and just so creamy! I typically use the Real Techniques Blush brush to apply my blush and these blushes lend out, no problem. They are pretty pigmented, so going in with a light hand, and tapping off your brush first, would be my recommendation. The lasting power is fantastic. I apply these blushes when I get ready in the morning (anywhere between 8-10am) and I can still see them on my cheeks when I go to take my makeup off at night (which is typically around 8pm). As I already mentioned, they go onto the cheeks beautifully without any streaking. One thing I do want to point out is that the difference between the satin and matte blushes are very faint. You almost can’t detect any sheen in the satin blushes when applied to the cheeks, but a true makeup junkie can. 😉 And I actually like that. I’m not a fan of super shimmery or sparkly blushes. I prefer mattes. But with these Color Source satin blushes it gives you just the tiniest bit of highlight to your cheeks and it looks beautiful. Do I recommend these new Color Source blushes? Yes! I like them even moreso than the Tarte blushes. And the price point is reasonable for a high end blush. With so many color options, I’m sure you’ll be able to find one to suit your skintone! 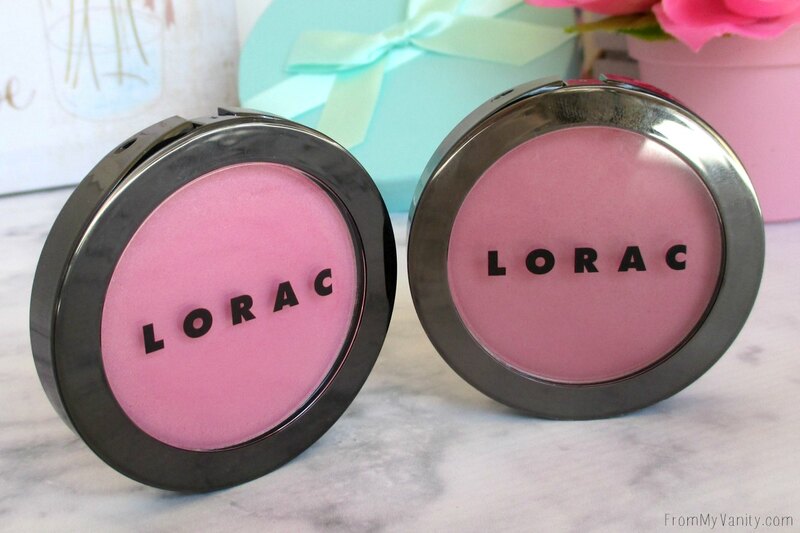 Have you purchased any of these LORAC Color Source blushes? Tell me which shade you like so I can try them next! 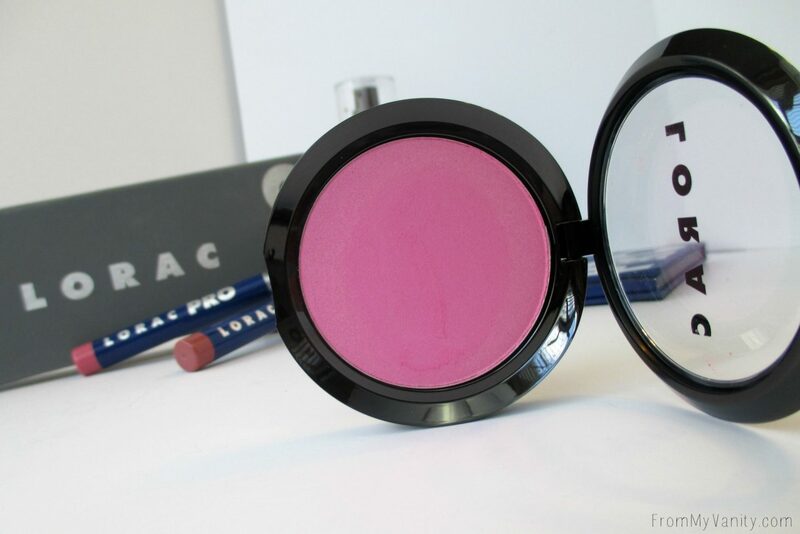 loving the color on the Chroma blush! A little highlighter can sparkle that matte right up! lol. Yes, I love the Chroma shade — it’s gorgeous on the skin! These are gorgeous! I’m a huge fan of Lorac products, I may need to go swatch these! I am too! LORAC makes so many fantastic products! 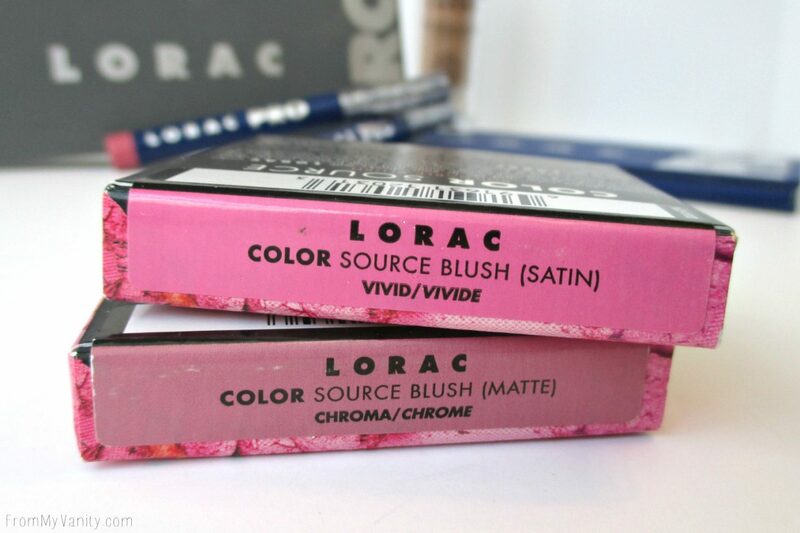 i love my lorac shadow palettes but haven’t yet tried their blushes! these are pretty! Great review! I’m glad you like these as they sound like something I would want to buy. Gorgeous colors for Spring!!! I love Chroma!!! I like matte brushes a lot. I know I’m the odd man out, but I prefer no shimmer anywhere on my face. These both look like colors that everyone would like. Very Pretty! Yes, they have a great selection, there’s something for everyone! Oh man, I really like Lorac products. These are gorgeous and perfect for spring! I’ve only tried Lorac’s palettes and lippies. Ugh, high time I checked out the beautiful blushes. 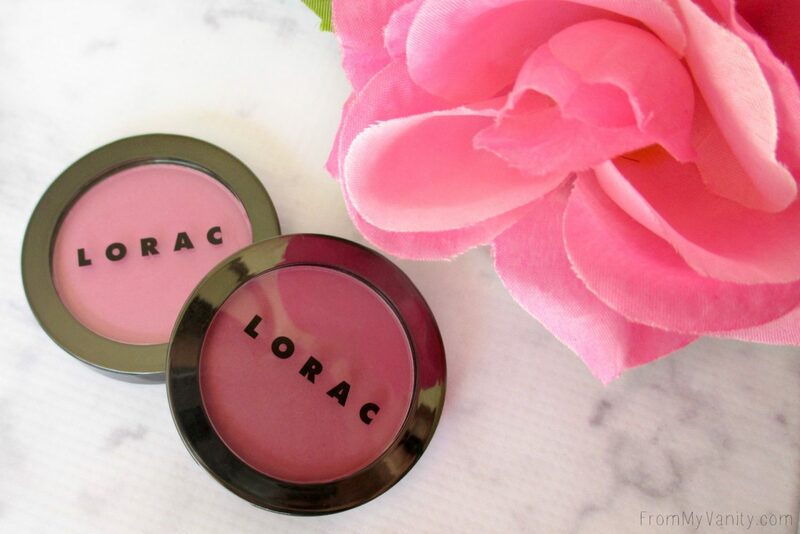 I haven’t tried any Lorac make up, but these look like nice, staple blushes to have in a make up collection! I don’t think I could pull of either one of these shades, but I love the finish and pigmentation in the matte one. I never heard of LORAC before this. These colors are lovely and I would really like to try them. Oh, do check them out! LORAC is an awesome brand! I’ve never tried LORAC blushes before. Lasting power is a huge bonus for me – I’ll have to try them! Yes, they hold up fantastic for me! Beautiful colors. I would love to try this product. Wow! Such beautiful , gorgeous colors! They will be perfect for spring. I know, I wish they would carry LORAC and IT Cosmetics. I don’t know why they don’t, they’re fantastic brands! !